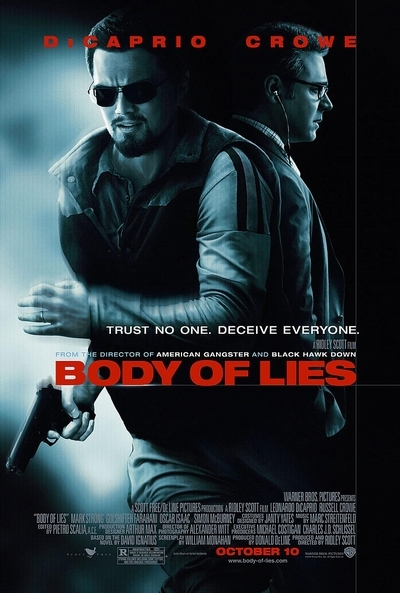 Story: Based on Washington Post columnist David Ignatius' 2007 novel about a CIA operative, Roger Ferris (Leonardo DiCaprio), who uncovers a lead on a major terrorist leader suspected to be operating out of Jordan. When Ferris devises a plan to infiltrate his network, he must first win the backing of cunning CIA veteran Ed Hoffman (Russell Crowe) and the collegial, but perhaps suspect, head of Jordanian intelligence. Although ostensibly his allies, Ferris questions how far he can really trust these men without putting his entire operation - and his life - on the line.